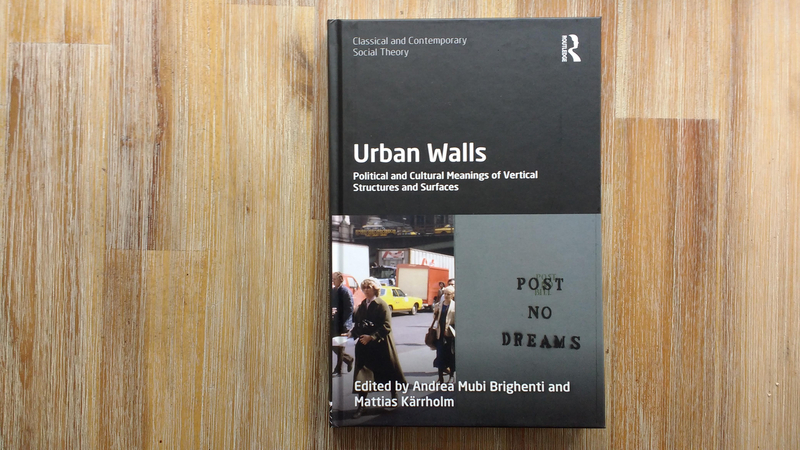 Urban Walls: Political and Cultural Meanings of Vertical Structures and Surfaces is out now with Routledge. The volume is edited by Andrea Mubi Brighenti and Mattias Kärrholm and contains an essay I wrote, alongside many brilliant contributions by scholars I so deeply admire! 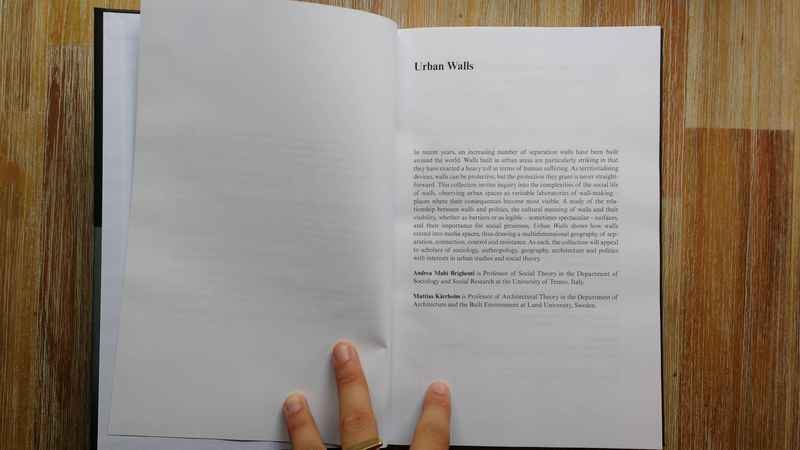 Mubi Brighenti’s first edited volume on walls, The Wall and the City, came out almost ten years ago, and was a formative collection for my research development. 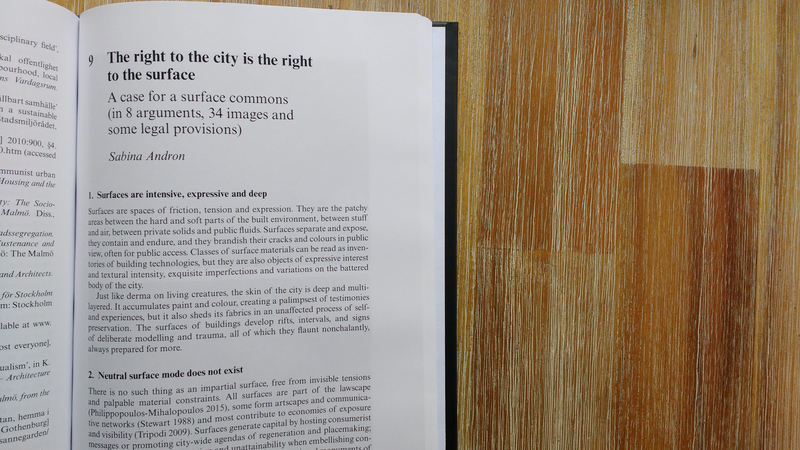 It’s such an honour to now be part of this new collection of urban walls research, with an essay called “The right to the city is the right to the surface: a case for a surface commons (in 8 arguments, 34 images and some legal provisions)”. 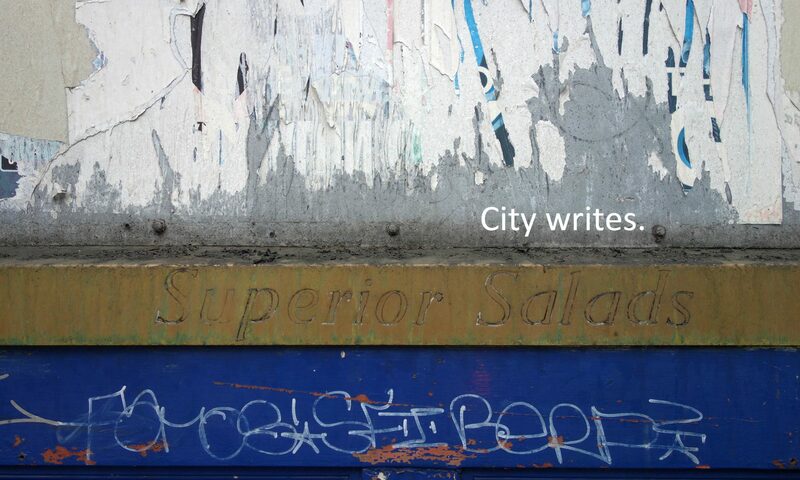 Walls and cities have long been partners, but their relationship has been understudied. This creative and important collection takes the social and political work of the urban wall seriously. Rather than a self-evident object, the wall becomes lively, talkative, mobile, and ambivalent, dividing yet also connecting. A valuable and original contribution. 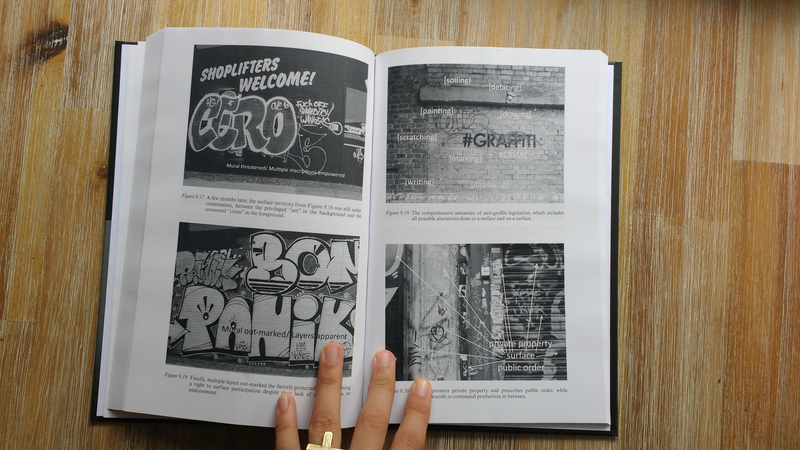 It is a remarkable feat for an edited volume to read as cohesively and with such strong focus as Urban Walls. The walls included here (violent walls, but also vulnerable ones; aquatic, immunising, yet totally exposed and medialised walls; affective and playful, immaterial and palimpsestic walls) are marked by the wounds of history, geography and politics that surround them but also that are generated by them. These walls feel as material and fleshy as if we were placing our hand on their surface. An instructive and compelling examination of walls in their multiple present forms. The emphasis on the material and vertical puts this at the heart of contemporary debates. Historically situated, richly illustrated, and with a view to wider themes as much as empirical detail, this is an important contribution to politics, geography and urban studies.